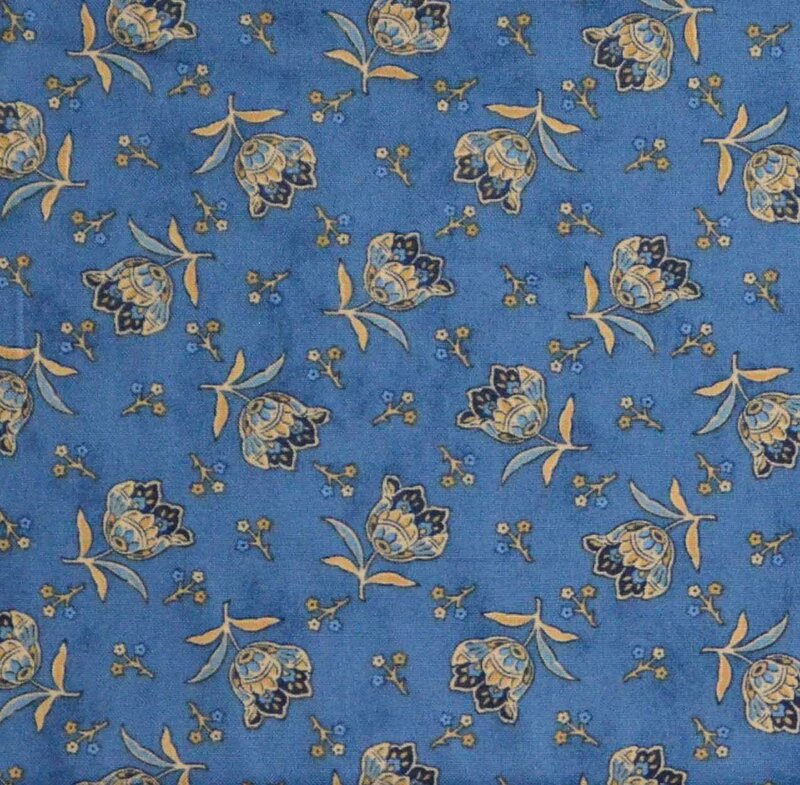 This popular Moda print from Minick & Simpson uses their classic butternut and blue color scheme. It's a great "go-with" print, but can also be used as a focus fabric! From their "Lexington" line.